Each year, Honda creates a collectible trading pin to give to thousands of Little League fans. This year Promotion Trust created the Honda Double Play Giveaway to give fans the chance to create their own designs for this year’s Honda Little League collectable pins. Visitors can submit their pin design, view all entries the online gallery and vote and share their favorite designs. Not a designer? 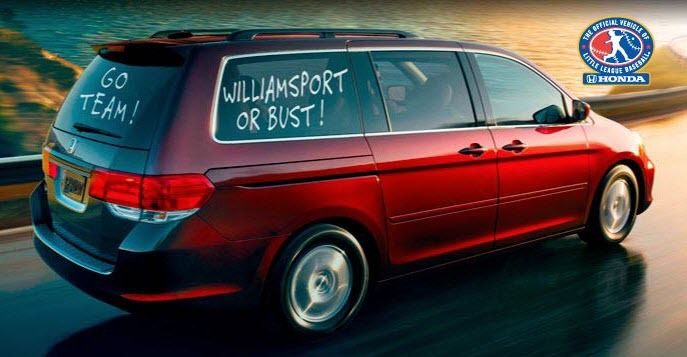 No problem, even the creatively challenged can earn a chance to win by entering the online sweepstakes. Promotion Trust Launches the First iPhone Sweepstakes Allowed by Apple! Until the launch of the Red Carpet iPhone App, Apple forbade iPhone apps from running contests or sweepstakes. Working with Promotion Trust, Bite interactive built and released the first ever iPhone contest. 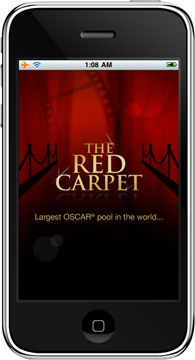 The Red Carpet app delivers the latest Oscar buzz and movie previews and allows iPhone users to research and vote for whom they think will win the 2010 Academy Awards. If a user correctly selects all of the 24 Oscar winners they will win $1,000,000! Bite had the iPhone app development expertise, but they needed help in creating the contest and insuring that it was legal. And as a small business how could they afford to offer a one million dollar prize? Promotion Trust developed the contest structure, all of the rules and provided Bite Interactive with a $1,000,000 insurance policy that would pay out if there were one or more winners. This cost effective promotion let Bite offer a $1,000,000 prize for under $10,000, a fraction of the cost of the prize. Initially Apple rejected the Red Carpet App due to their policy of not allowing contests and sweepstakes, but Promotion Trust and Bite Interactive were able to demonstrate to Apple that the promotion was legal, would not open Apple to any additional liability and would benefit iPhone users. After multiple presentations, Apple agreed that this was unlike any other promotion ever presented to Apple and they agreed to release the app. In addition, Apple modified their iPhone and iPad development policies to allow sweepstakes and contests under certain conditions. 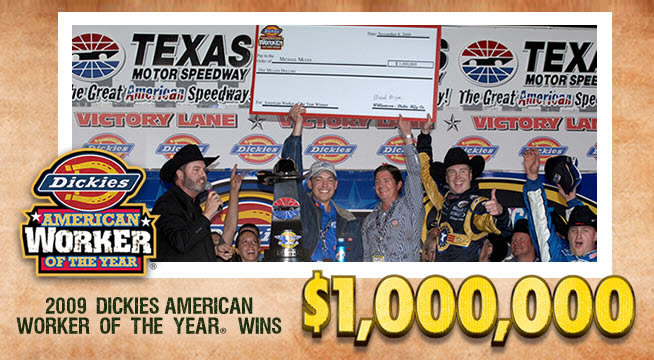 Dickies, the workwear apparel brand, awarded Michael McGee $1,000,000 for selecting the Dickies 500 champion, part of his prize package as the winner of the 17th annual Dickies American Worker of the Year® contest. McGee, an agricultural teacher and horse training business owner from Broken Bow, Okla., has had a whirlwind week since being named Dickies American Worker of the Year on Friday, Oct. 30 at the Professional Bull Riders (PBR) World Finals in Las Vegas. He was awarded a hefty paycheck in Victory Lane at Texas Motor Speedway on Sunday by Kurt Busch, after he randomly selected the driver to win the race. As part of the Dickies American Worker of the Year grand prize package, McGee received $50,000 and an all-access, VIP trip for two to the Dickies 500, with a chance to upgrade his $50,000 for $1,000,000. McGee was given the opportunity to randomly select one of the top 12 Race for the Chase drivers to win the Dickies 500 at a press conference in his honor. McGee made the lucky driver choice and now he's going home with $1,000,000. "I can't believe this is happening. It was amazing to win the title of American Worker of the Year, and now this! At my age, it's truly an honor to be recognized for my hard work and achievements from a respected company like Dickies," said Michael McGee. "I hope I can inspire other people to work hard and never give up." On Saturday, McGee randomly chose Kurt Busch as the potential winner of the Dickies 500 and he's $1 million richer because of it. Kurt Busch personally handed McGee his check in Victory Lane, but McGee wasn't the only one who walked away with a large paycheck. Kurt Busch took home the largest purse in the 10-race chase for the NASCAR Sprint Cup™ and the third largest of the NASCAR season. "We are excited and honored to award $1,000,000 to our American Worker of the Year for the first time in the promotion's history," said Misty Otto, public relations director for Dickies. "We hope Michael's winnings will help him continue to achieve his dreams and inspire others, and we know we'll continue to see great accomplishments from him." At the young age of 25, McGee has accomplished quite a lot. The high school valedictorian put himself through college, and 23, McGee purchased his first home and a 41-acre farm. He is a full-time agricultural teacher for 200 students, where he spends many nights, weekends and summers supporting the school's agricultural program. McGee also owns a successful horse training business. He is a passionate outdoorsman and wildlife enthusiast full of drive and ambition. He loves teaching because it allows him to help his students realize their full potential and achieve their dreams. Running a promotion on Facebook is one of the most effective ways of engaging and attracting Facebook users. However, Facebook has just posted a new set of promotional guidelines that make running a promotion on Facebook a lot more complicated. In order to publicize or administer a sweepstakes or contest on Facebook, you must be compliant with Facebook’s new promotional guidelines. Here are the most important points of the new guidelines. Be located on either: 1) the canvas page of a Facebook application, or 2)on an application box in a tab on a Facebook Page. Administering a promotion on Facebook means operating any element of the promotion on Facebook or using any part of the Facebook Platform, including, for example, collecting submissions or entries, conducting a drawing, judging winning entries, or notifying winners. You must submit materials for any promotion you plan on administering through Facebook to your Facebook account representative for review and approval at least 7 days prior to the start date of the promotion. Under the new Facebook promotion guidelines anyone may “Publicize” a promotion on Facebook without Facebook’s prior approval. Publicizing a promotion on Facebook means promoting, advertising or referencing a promotion in any way on Facebook or using any part of the Facebook Platform. This may include, for example, in Facebook advertising inventory, on a Facebook Page, or through a status update. The promotion is open or marketed to individuals who are under 18. The promotion is open to individuals who reside in a country embargoed by the United States. The promotion, if a sweepstakes, is open to individuals residing in Belgium, Norway, Sweden, or India. The promotion’s objective is to promote gambling, tobacco, dairy, firearms, prescription drugs, or gasoline. Any part of the prize includes alcohol, tobacco, dairy, firearms, or prescription drugs. The promotion is a sweepstakes that conditions entry upon the purchase of a product, completion of a lengthy task or other form of consideration. Facebook’s new guidelines require that certain language be included on the entry form and in the Official Rules of the promotion. You cannot: Condition entry in the promotion upon a user providing content on Facebook, such as making a post on a profile or page, status comment or photo upload. You can: Use a third party application to condition entry to the promotion upon a user providing content. For example, you may administer a photo contest whereby a user uploads a photo through a third-party application to enter the contest. You cannot: Administer a promotion that users automatically enter by becoming a fan of your page. You can: Only allow fans of your page to access the tab that contains the third-party application for the promotion. You cannot: Notify winners through Facebook, such as through Facebook messages, chat, or posts on profiles or pages. You can: Collect an address or email through the third-party application for the promotion in order to contact the winner by email or standard mail. You cannot: Instruct people (in the rules or elsewhere) to sign up for a Facebook account before they enter the promotion. You can: Instruct users to visit the third-party application to enter the promotion. Since users must have a Facebook account in order to access an application on the Facebook Platform, if you give this instruction, they will be prompted to sign up for a Facebook account if they do not already have one. For more details you can read the complete Facebook promotional guidelines or give us a call.